— 'Wendell Berry, Bringing it to the Table: Writings on Farming and Food. I owe my introduction to the O’Dovero-Flesia farm to my quest for a seriously good hot dog. My preferred hot dog supplier, a meat market in Mellen, exited the sausage business a few years ago, and while Hebrew Nationals are a good substitute, they just aren’t the same. Everything changed when my friend Pete told me about the O’Doveros’ cattle farm and meat market—I was back in all-beef, natural-casing hot dog heaven. And, lucky for me, O’Dovero-Flesia farmstead also included dry-aged beef, the perfect pork belly for pancetta, and a picturesque collection of dairy cows, beef cattle, buildings, and pastures. Five generations of O’Doveros have called these thousand acres at the base of the Penokee Hills home, and as I pulled into the driveway, I could understand why: it’s beautiful. Framed by a mixed hardwood and pine forest, the undulating pastures blend into the rising Penokee Hills. 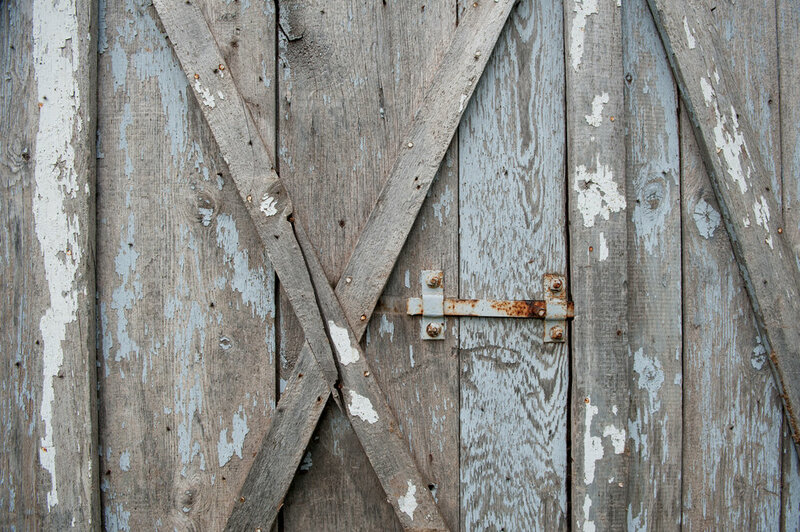 Two barns with fieldstone foundations (built in the late 1920s or early 1930s) wear the weathered patina of eighty-some years of Wisconsin rain, wind, snow, and sun. Monica Vitek, the matriarch of the clan, has the commanding presence that only years of nurturing and no-nonsense mothering can provide. Her grandparents, Emmanuel and Monica, emigrated from Turin, Italy, to Mellen in the early 1900s to work in the Mellen tannery. That business opened in 1896 and was the largest and most productive tannery in the country, in part because of the abundance of hemlock trees in the region (the tanning process relied on hemlock bark). For twenty-six years the tannery employed many Italian immigrants who came to northern Wisconsin to work and set down roots. When a new chemical process was introduced in 1922, the tannery shut down. Most of the men went to Hurley to work in the iron mines or to Kenosha to find factory work. Emmanuel, however, decided to stay in Mellen and bought the farm in 1926. Emmanuel and Monica passed the farm to their children, who passed it to theirs, and so on down the line. The family’s stewardship and pride in the farm is evident. As I sat down to have lunch with Monica, her husband, Poppy, and their daughter, Wendy, Monica spoke of her father. She said he always told her, “You never take more from the land than what you put back, plus a little extra,” and of the 155,000 trees he planted in his lifetime to ensure the family didn’t deplete the forest. Aldo Leopold said, 'There are two spiritual dangers in not owning a farm. One is the danger of supposing that breakfast comes from the grocery, and the other that heat comes from the furnace.' Since I am an enthusiastic meat-eater as well as a passionate animal lover, two seemingly contradictory terms, I spent some time thinking about the sacrifices inherent when we harvest, anything, for our consumption. How should we honor the harvest of any animal or crop for our dinner table? A good place to start is with mindful consumption and remembering, always, that the resources we used to grow that crop or raise that animal are not endless. Incredibly, thanks to our disconnected and pseudo-sanitized food system, we are able to purchase a plastic wrapped package of beef with an expiration date and a price on it and think the only components of the transaction are the exchange of currency at the checkout aisle. We forget, or choose to ignore, the elemental transaction that occurred on the farm, where the cow was raised and harvested. That's why farmers like the O'Dovero's are important— they haven't forgotten and they understand the sacrifice they are asking of the animals in their care. As we wrapped up our visit, we laughed about chasing heifers, cousins weeding the cornfield (after they complained of boredom), “eating your way to bed” on Christmas Eve, and stacking wood with surly teenagers. Monica offered to teach me how to make bagna cauda, a dish she made with her mother; Wendy came up from the basement with a jar of homemade antipasto from last summer’s garden; and there was a hunk of Asiago in my hands as I was leaving. Their generosity of spirit and pride in the farm they’ve called home for five generations was inspiring. 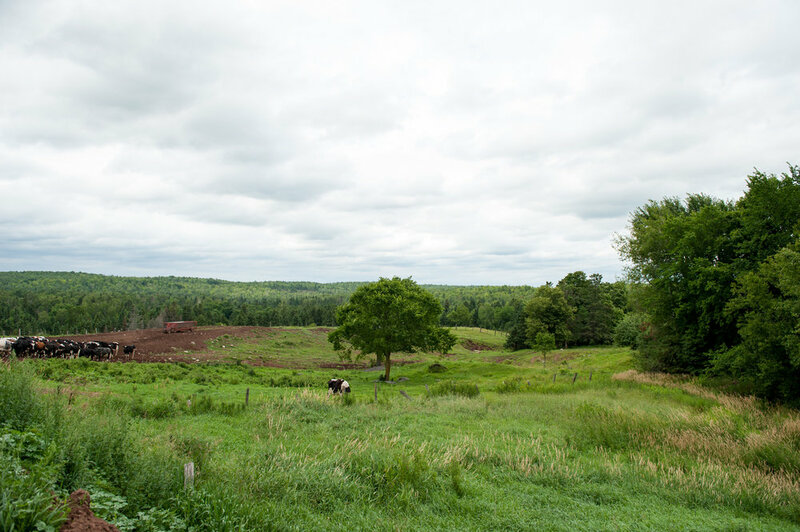 The extraordinary (or not, depending on how you look at it) thing is it’s still a working farm—raising cattle and supporting a family who are rooted in this place as much as the trees are rooted in the hillside. Family farms are a rarity in this age of agribusiness and large-scale feeding operations, and a farm like the O’Doveros’ is important. Farmers remind us that good land management practices and animal husbandry are vital to the health of a community. They are the conservationists of our time. Want to know more about the O'Doveros? Take a look at the short film below!